Late last year, a candyfloss seller at a Christmas carnival was replacing lamps near his family’s stall when his five-year-old daughter stuck her thumb into a light fitting and received an electric shock. Divine power might have saved the little girl, but it was the divine power protection provided by an RCD that disconnected the power in less than 30 milliseconds and before it could arrest her heart. 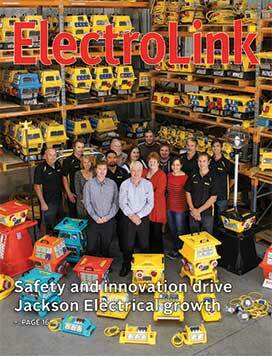 For every nine electricians in New Zealand there is one electrical inspector standing by ready to provide expert guidance on electrical safety and compliance. In an ideal world, these licensed elite members of the electrical industry not only guide electricians through the practical implementation of regulatory changes and the application of rules to new electrical technologies, they also carry out inspections on their work. And since July 1 last year, inspectors also provide a formal record of their inspection (RoI) so ever-attentive electricians can see what they have got right and what they still have to get right before their work can be connected. As we continue to churn out qualified electricians and graduate electrical engineers to cover off all the skills the industry needs from theory and design to installation and maintenance, electrical technology continues down its ever-advancing path. However, insufficient attention is being focused on the cross-over skills needed to deal with much of this new technology and its practical application. A shortage of electrical engineers at technician and technologist level is seen as a roadblock to innovation and growth, but a new electrical engineering qualification developed to lift technology skills and provide a third career pathway between tradesman and engineer is gaining insufficient traction with school-leavers who have succeeded at NCEA Level 2, to address this shortage. New Zealand’s MEN low voltage supply earthing system looks set to be phased out in favour of an alternative TT standard low voltage supply system as a means of improving electrical safety thresholds in urban and rural installations. The TT alternative has been identified by a Standards New Zealand technical committee as the most appropriate of the IEC-recognised supply systems in use and it has recommended that the electricity regulator provide for its use in New Zealand in addition to the MEN system. If you have already built all the safety and performance functions into a variable speed drive that machinery manufacturers are going to use, how else can you improve the drive to make it the best in its class? The answer, says John Keir, is to make it the fastest machine drive to install, parameter-set and commission. 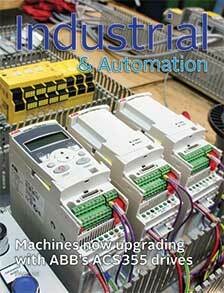 And that is what ABB has achieved with the ACS355 which is now being taken up by New Zealand equipment manufacturers. If left to the news media and political claims that manufacturing is dying in New Zealand, Kiwis could be forgiven for believing there was no future in manufacturing locally and what little remains outside food processing will inevitably be surrendered to China. But flying in the face of this is hard data showing a resurgence in manufacturing growth with total output expanding for 19 consecutive months and at its highest level since 2006, thanks largely to the meat and dairy processing sub-sector. The most remarkable thing about automated lighting controls these days is not the instant scene setting or the energy savings or the integration with other building services, it’s the ease they bring for users. Well-designed visual touch-screen interfaces and remote control through tablets and smartphones are now delivering on the promise home and business automation made years ago. 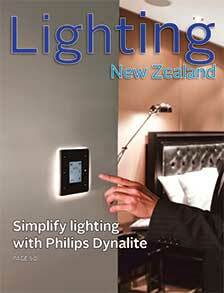 The days of associating lighting automation with complexity are now gone, says Chris Morris of Philips Lighting. The weight of international evidence supporting the economic and social benefits of white LED road lighting is now overwhelming, driving mass city-wide LED conversions in some of the world’s biggest cities. Described as a ‘slam dunk’ in terms of efficacy, efficiency, controllability, maintenance and longevity, LED road lighting is also credited with significant reductions in vehicle crashes and crime, and greater pedestrian safety and comfort in major urban centres.